The poker faces are on and every squirrel's got an angle. 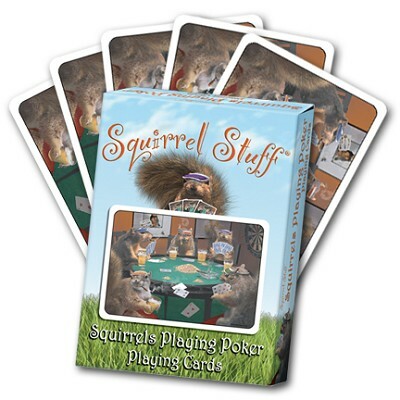 Get this whimsical image of the Squirrels Playing Poker on a deck of 52 playing cards. This squirrelly tribute to Cassius Marcellus Collidge's famous paintings of dogs playing poker circa 1910 can bring a smile to even the best poker face. Made in the U.S.A.